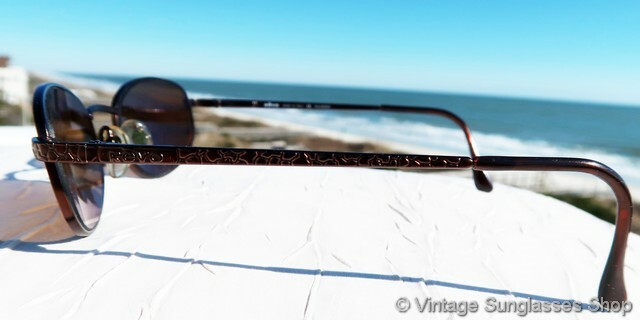 1 Vintage Revo 3008 081 Cobra Executive Flex sunglasses feature an intricately etched copper frame in Revo's distinctive snakeskin that requires sophisticated manufacturing to make but we think you'll agree eye catching to look at! 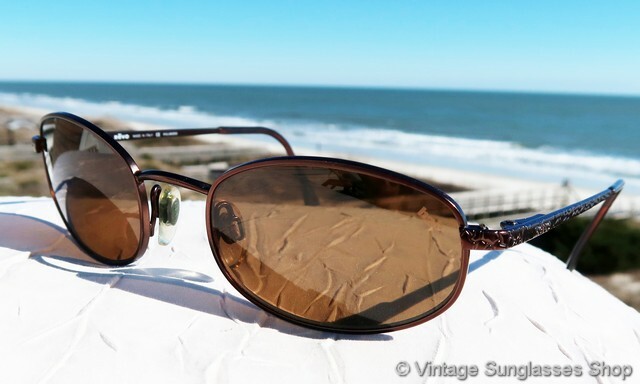 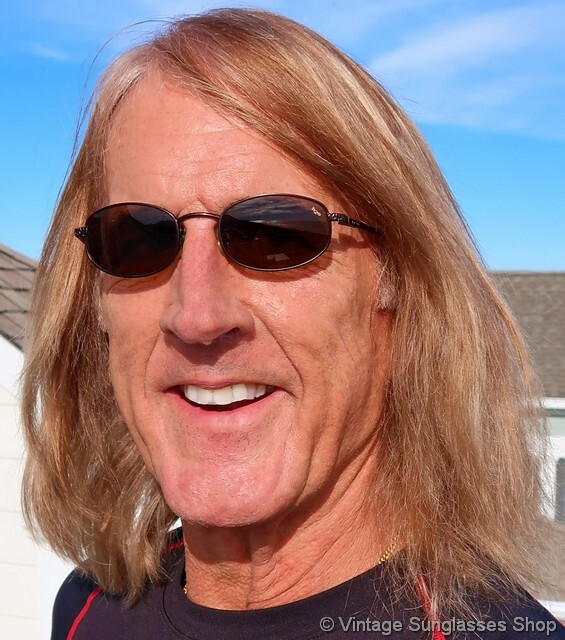 The 3008 Cobra Executive Flex frame is combined with Revo's top of the line brown H20 polarized lenses that form the perfect color complement for this frame. 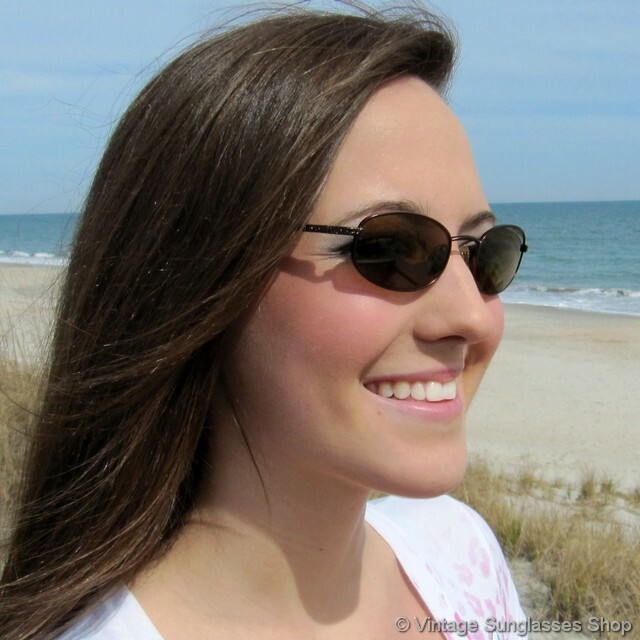 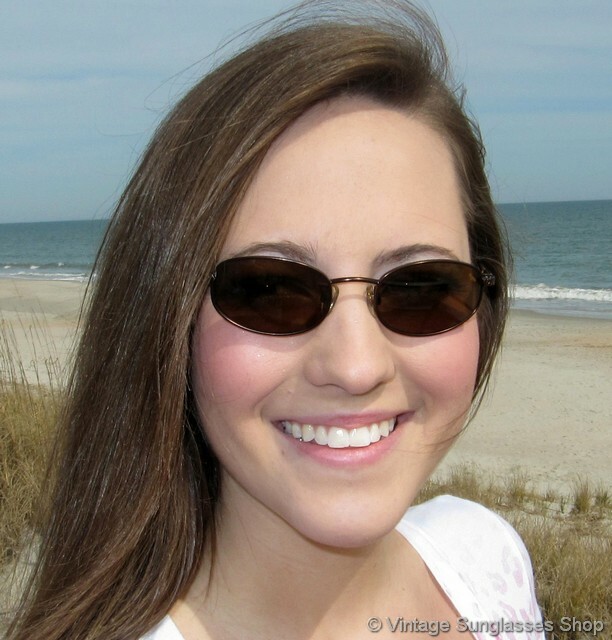 The unisex Revo 3008 frame measures approximately 5.125" temple to temple with lenses measuring approximately 1.875" x 1.25" at the widest points and left lens laser etched h20 to indicate Revo's advanced optical polarization. 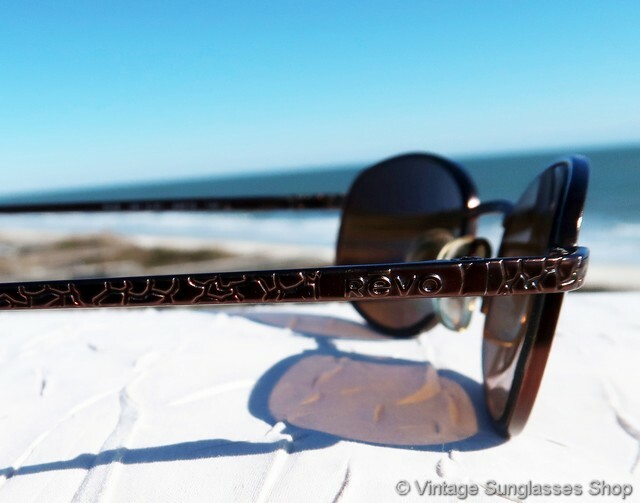 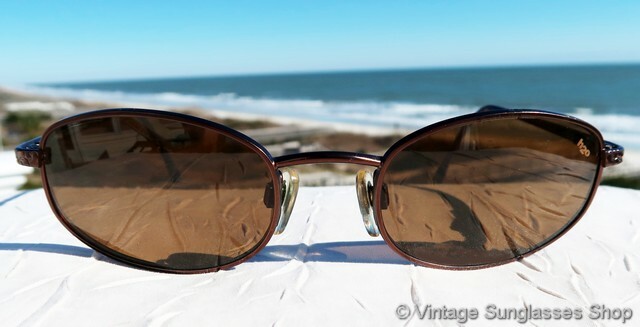 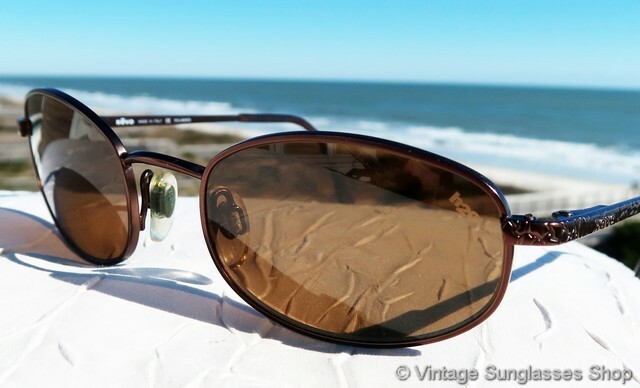 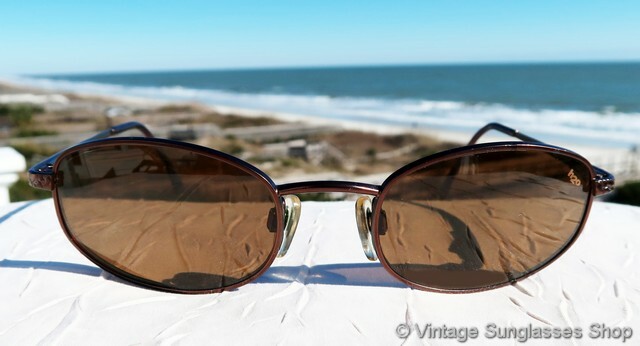 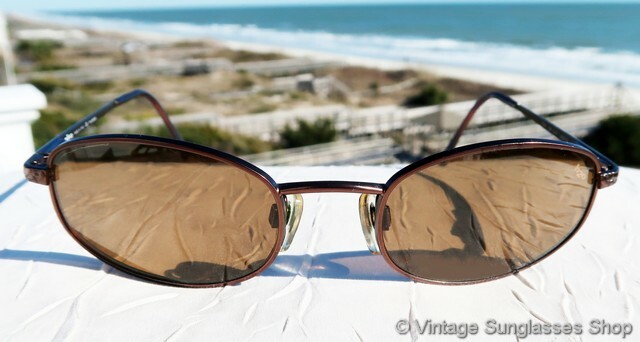 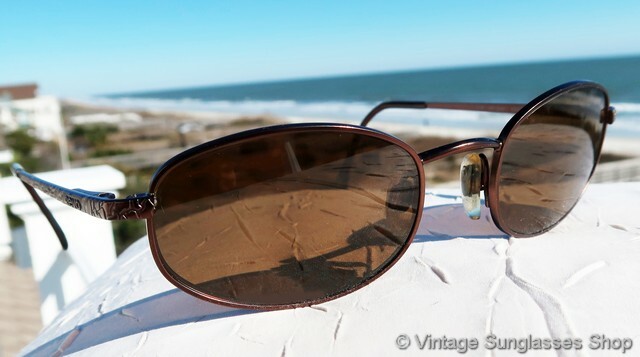 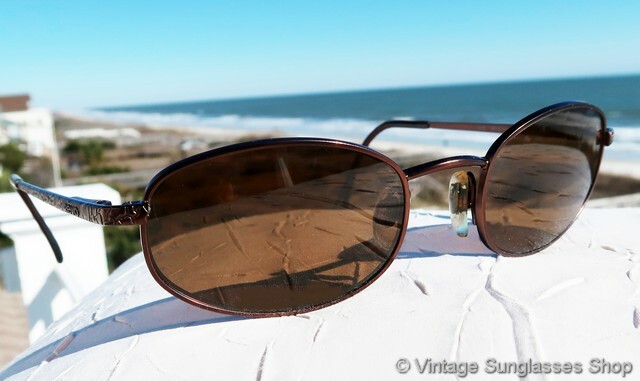 You'll find the Revo logo integrated and etched into the metal on the exterior of both ear stems, and the inside of one stem is marked Revo Made in Italy CE Polarized while the inside of the other stem is marked 3008 081 S/61 49  19 130, part of a Mobile, Alabama collection of great vintage Revos. 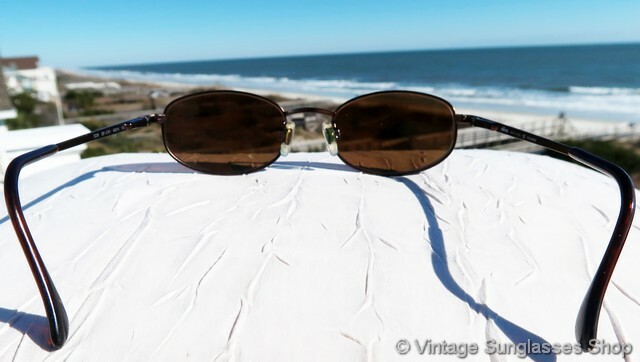 2 Step up another level beyond our already unequaled vintage condition standards with new old stock Revo 3008 081 Cobra Executive Flex sunglasses in mint, unworn condition.